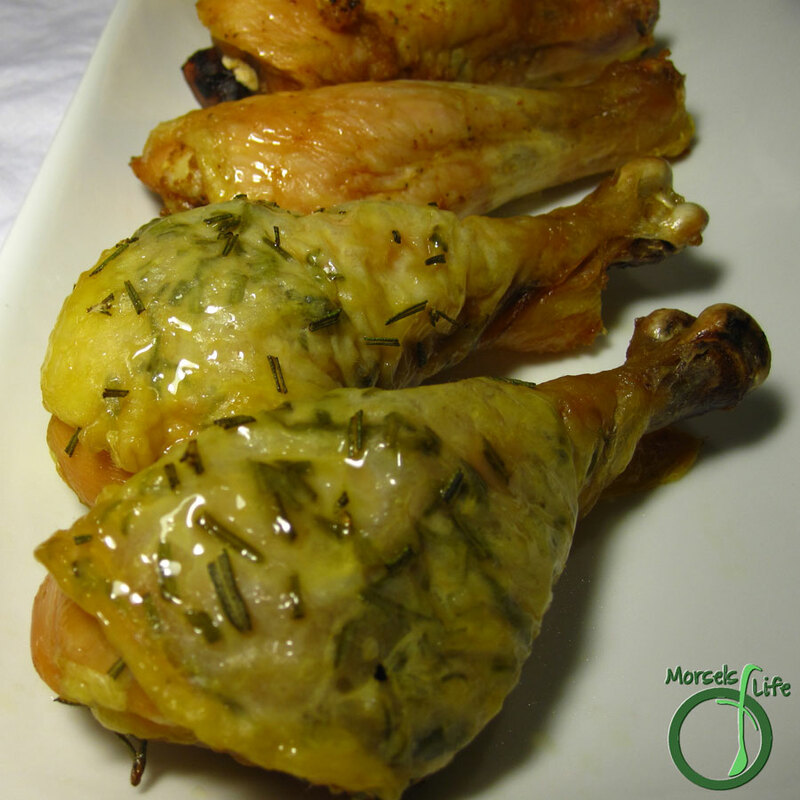 An easy method for oven-baked rosemary drumsticks encased in crispy skin. I needed to make some meals, but I wasn't sure what to cook since I also needed to get groceries. Fortunately, I did have some chicken drumsticks, so when I saw this recipe from Inspired Taste, I knew what I'd make. You just chop some rosemary (or used dried or another herb or seasoning), rub it all over the chicken and bake. Simple and straightforward - just the way I like. For crisper skin, place the drumsticks on a cooling rack in a baking tray. Since I don't like baking on my cooling rack, I used a roasting pan - just place each drumstick over an opening, and you'll get crispy skin all around! Give these drumsticks a try and see what you think! What are some of your favorite chicken seasonings? other seasonings, as desired I used rosemary on the front drumsticks and Cajun seasoning on the remaining. Wash and pat drumsticks dry. Rub seasonings onto drumstick. Don't forget under the skin too! Bake at 450F until chicken cooked through. So simple - but so yummy! Can't wait to try it! Thank you very much for linking to Must Try Mondays! Simple and easy...that's what it is all about this time of year! You did a good job. This chicken looks super mouth-watering! Followed and Liked your lovely blog. I am also inviting you to add your blog at Momma's Lounge where you meet more mom bloggers, shout away, add your giveaways and business links and get featured by sharing your crafts, recipes and interesting musings. Following us back is deeply appreciated.